Wendy wrote this about her father…and shared two photos. My father’s name is Robert Davis (Bob). 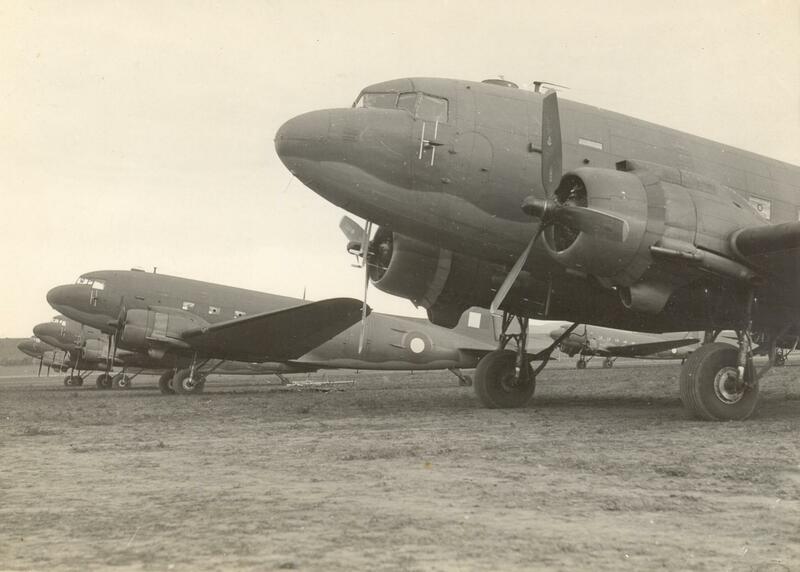 He was in 24 BG & NS Ansons, 76 O.T.U RAF MEF on Wellingtons in 1944 as bomb aimer and navigator, then Oxfords at the beginning of 1945 in the 1331 conversion unit, after which he moved to the Dakota, 1334 TSTU Gujarat India, finally ending up in the 238 squadron. 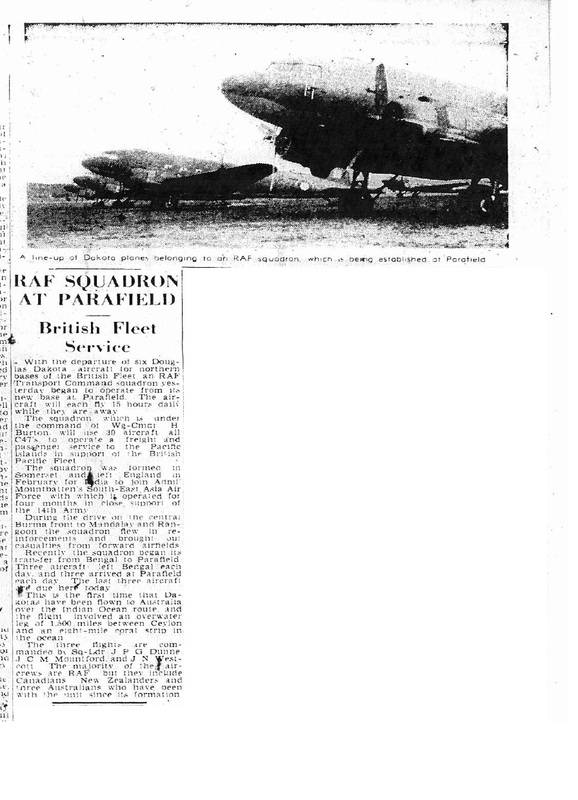 He kept the front page from The News, Adelaide, Wednesday July 11 1945, “First RAF Squadron now at Parafield”. Attached a couple more photos. 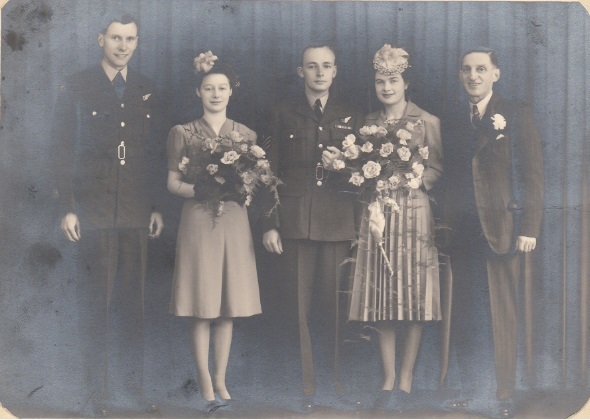 Wendy has commented on this blog about 238 Squadron stationed in Australia. My father, was P/O Speed’s navigator, according to his log book. 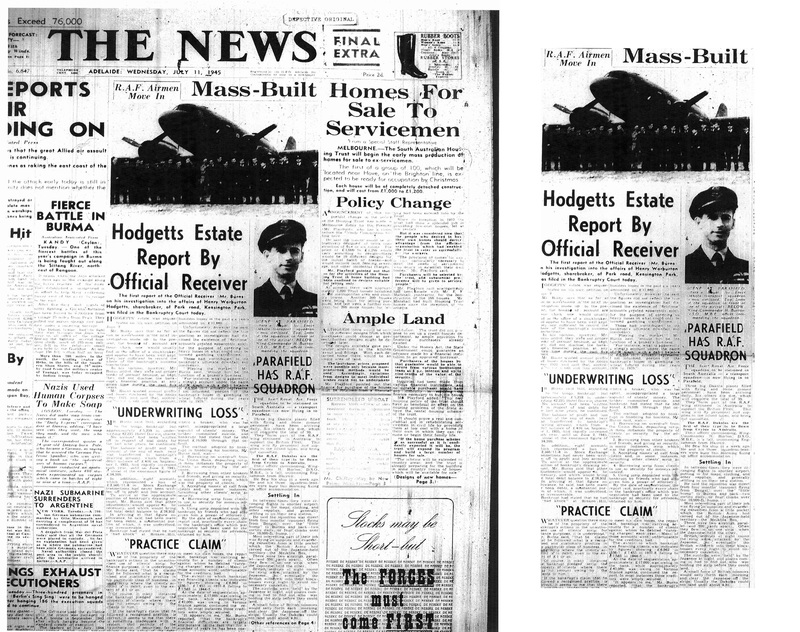 Have forwarded front page of Australian newspaper that my father kept, about the squadron coming to Parafield. Gil Gillis was part of Operation Chocolate. An Internet research led me to Gil Gillis’ participation in Operation Chocolate. Anyone come across reference to this before? 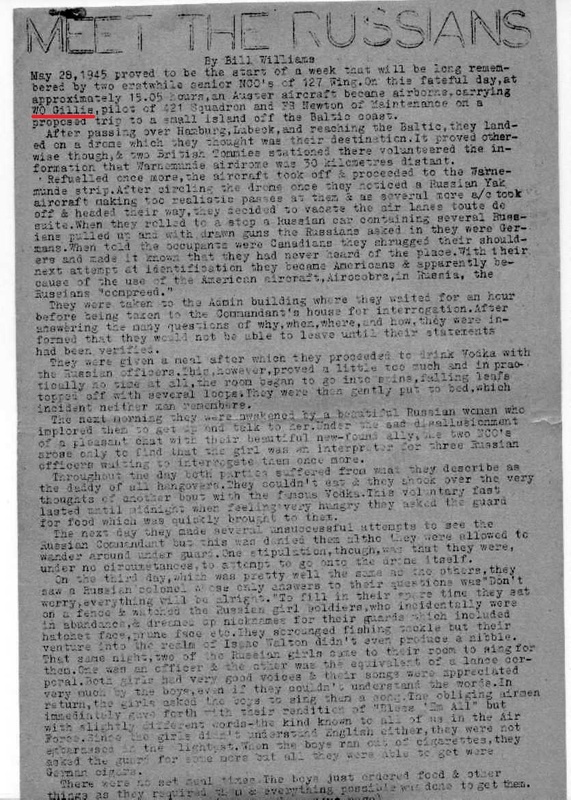 I read the excellent pdf at Kyt’s post here regarding G/C Houle and it mentioned his involvement in Operation Chocolate where Hurricanes operated from an abandoned airfield behind enemy lines for three days harrassing German supply columns etc. They headed home just as an enemy column sent to find them arrived on the scene. An anecdote maybe related to Gil Gillis. Every reader of this blog knows who is Frederick Burdette Gillis. He is remembered by his nickname Gil. 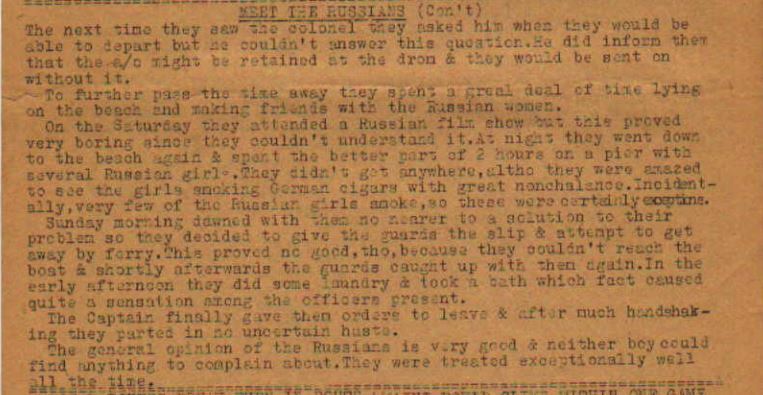 But no one knows how Gil Gillis met the Russians on May 28, 1945. To learn more about Gil Gillis you can click here, and read all the posts I wrote about him on this blog, or even better, click here for a blog dedicated to him. I am not 100% sure if this W/O Gillis is Frederick Burdette “Gil” Gillis. 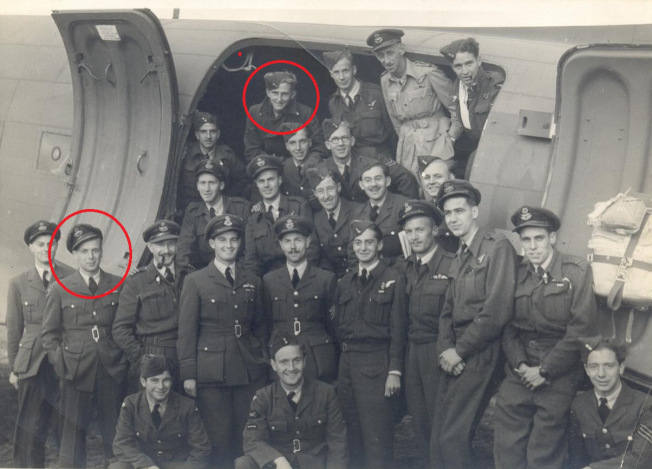 Gil Gillis became a Flight Lieutenant and was posted to 417 Squadron not 421 Squadron. Was Bill Williams all mixed up when he wrote this or there were two Gillises? Maybe John Le May could shed some light on all this. This is my first post. 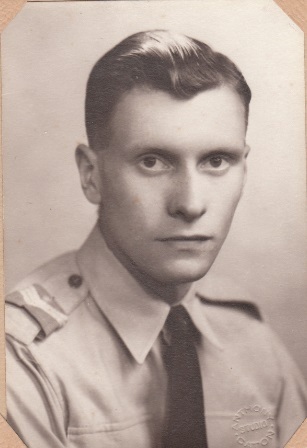 I am looking for information on Flying Officer Ian Walter Matthews RAF 10209. He was a pilot with 238 Sqn and was killed on 1/09/1942. According to his logbook, on his final flight he was flying Hurricane FM-P. The KIA entry in the log book is signed by Flt Lt Peter Oliver B Flight Commander. Flying Officer Ian Matthews is buried in El Alamein War Cemetery. The information is for my brother in law who is the nephew of Flying Officer Matthews.